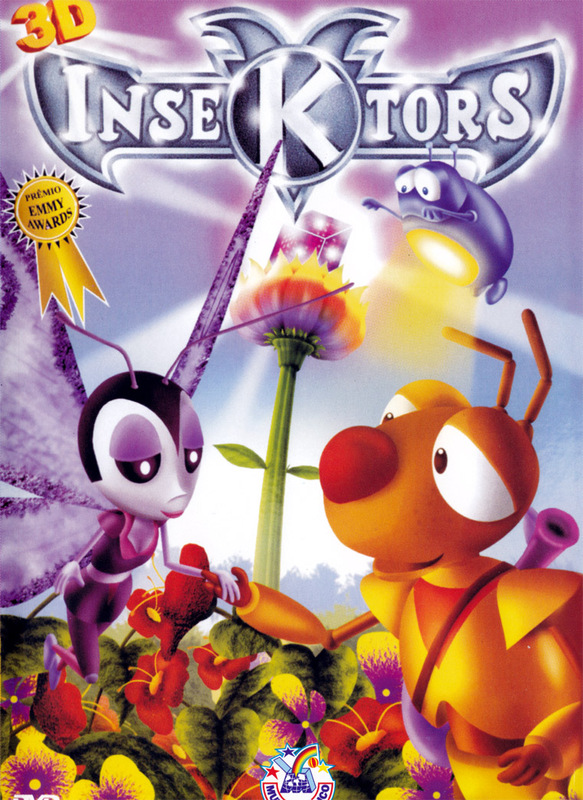 Insektors is a series that didn't really get a lot of love in the merchandise department, but it did get its share of VHS releases in the UK. I'm not sure what merchandise got released for it in France (aside from individual DVDs, and the boxset) so if I find out any more information, I'll make sure to post it up on this page! 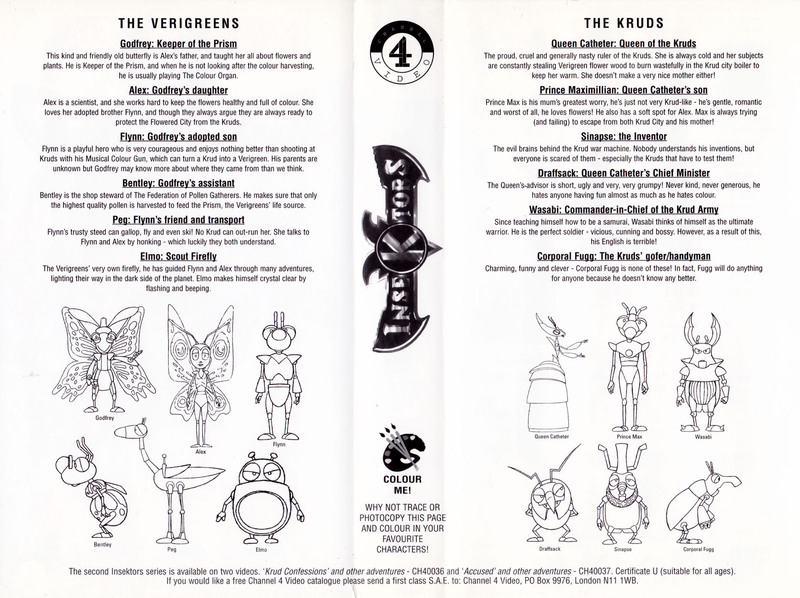 To my knowledge, each video tape comes with a small coloring/activity page, as well as some information about either the Krud's inventions, or the Kruds and Verigreens themselves. This tape is peculiar, due to it containing random episodes in no order. I suppose it could be a "Best Of" deal, but I'm not sure. Compilation tape containing the first 13 episodes of the series. On the underside of the VHS cover is a colouring sheet. This video along with its counterpart are very very rare. 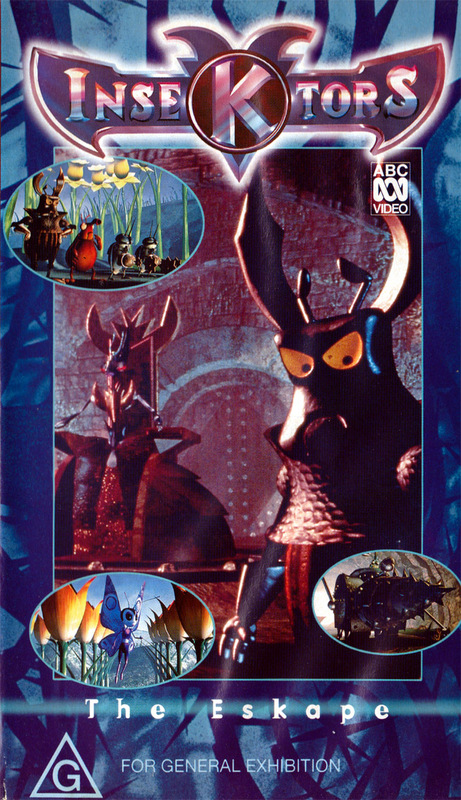 They were released in Australia by ABC, therefore making them PAL format. A kid's activity book. 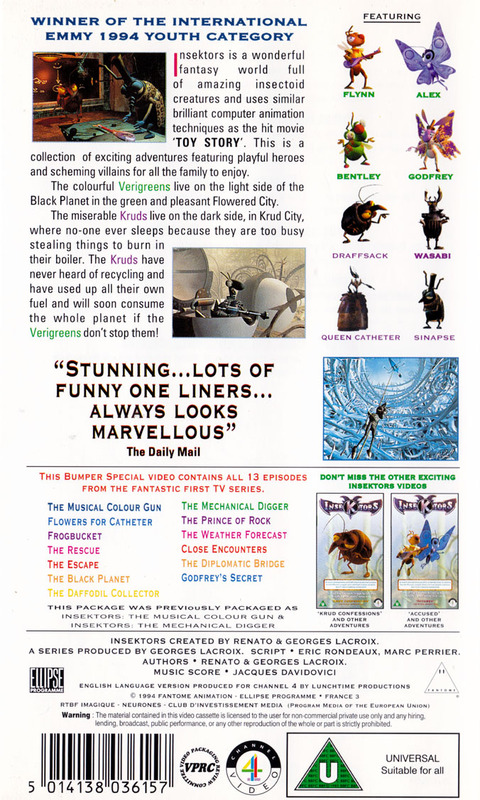 Published in Britain, thus, uses all of the UK names from the UK version. The book contains character profiles, crafts, summaries of a few episodes, puzzles, games, and really, really lame jokes. 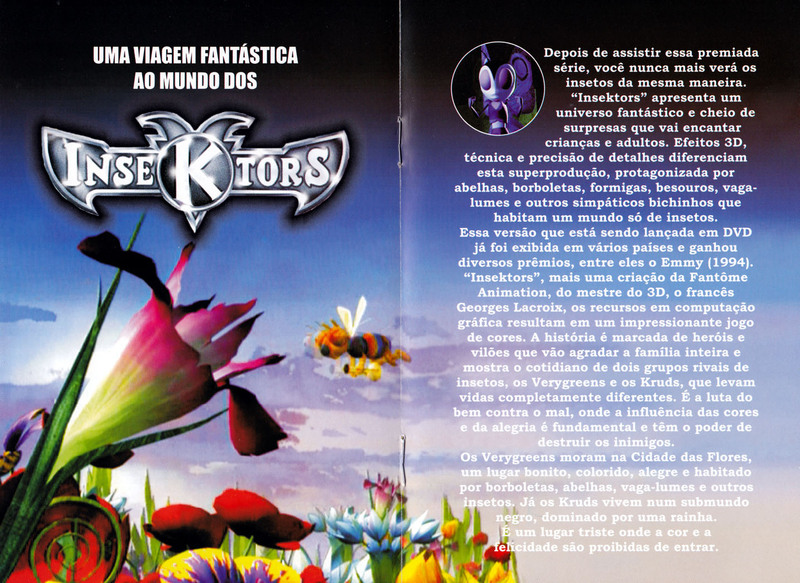 You can find scans of the book here! 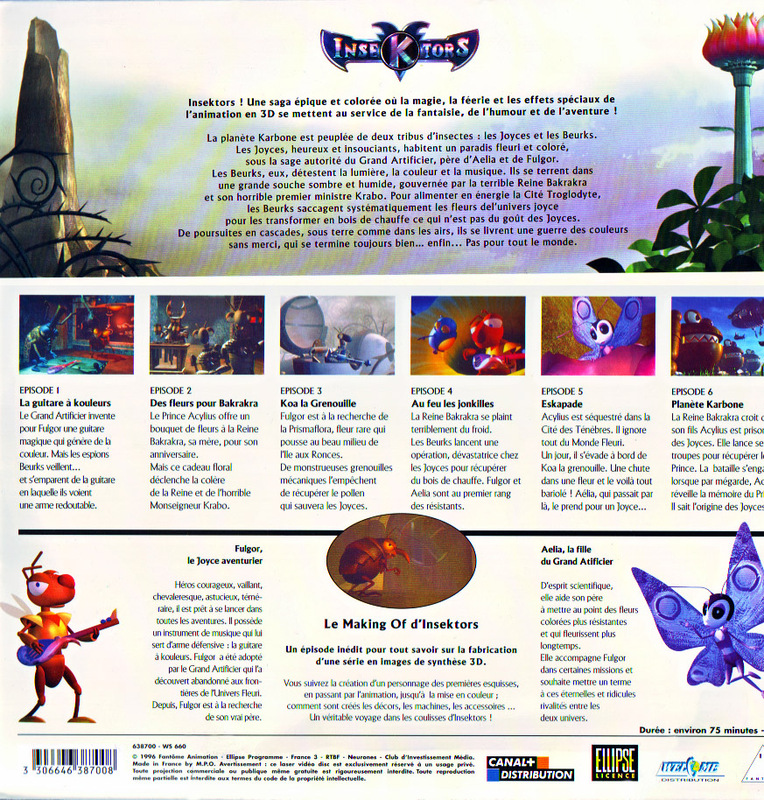 A laserdisc released in 1996 containing the first six episodes of the French version. It also includes the "Making Of" special found on the DVD release. Special thanks to Gerald for the scans and information! 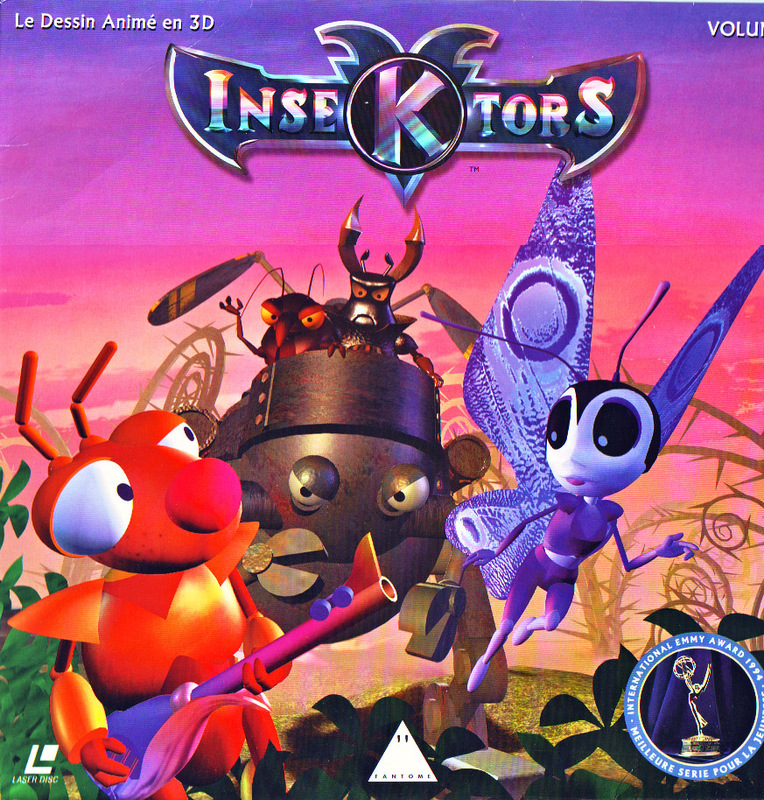 Complete 3 DVD set of the original version of Insektors. Contains every episode released, including the never-been-dubbed Christmas special, No Presents for Christmas. This piece of merchandise was special enough to get its own special section and coverage. Check it out here! 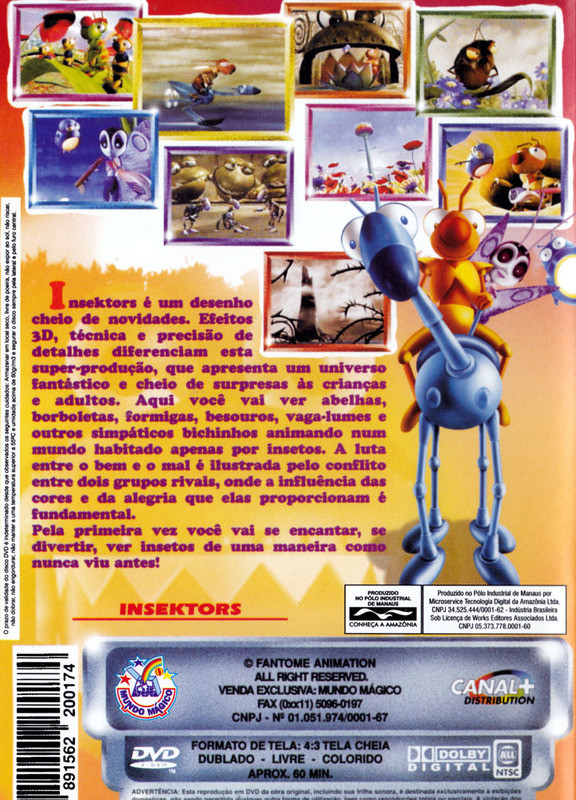 A DVD containing the first four episodes of the series in Portuguese. 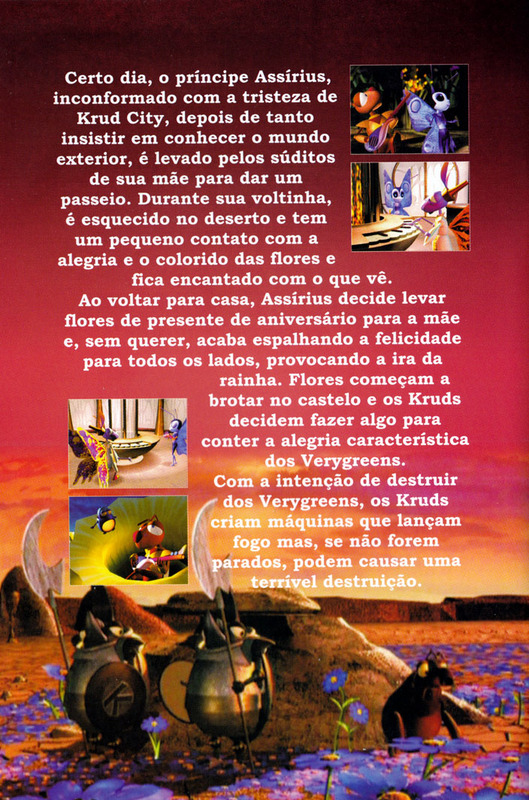 It seems they did not know what names to use because the summaries mention both NA and UK version names. 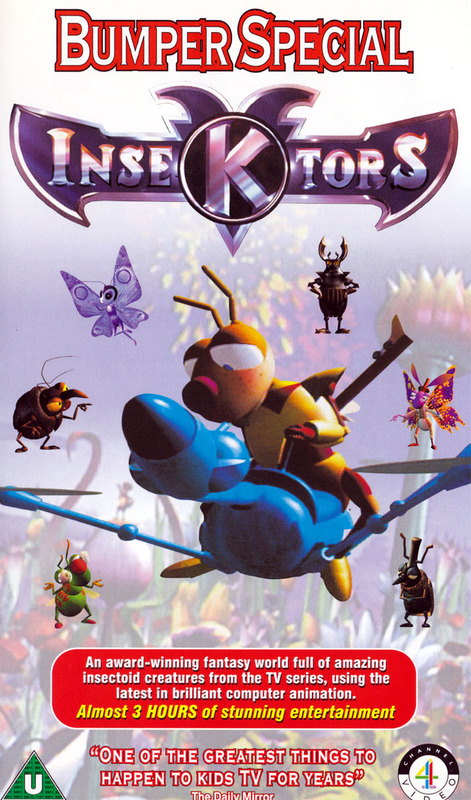 Included inside is a small booklet advertising the company's other releases, and there are three pages dedicated to Insektors. 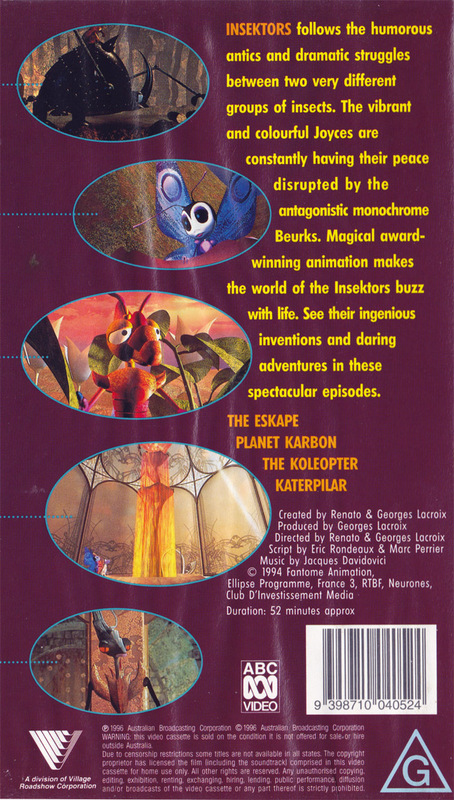 Appears to be some sort of bundle DVD of an old kid's cartoon, Noah's Arc, along with a couple of episodes of Insektors. Kind of a strange find.